In the late 1960-s, The Rolling Stones were successful. So were the Beatles, The Doors, Creedence Clearwater Revival, and countless other acts. Elvis Presley celebrated his comeback. All of these groups and artists delivered Rock’N’Roll, Blues and love ballads. The arrangements mostly centered on guitars and, while being very successful, they sounded rather dry. Few bands which came up around that time tried to deliver something different. The Mexican guitarist Carlos Santana merged Rock with Latin and Jazz elements, which was quite sensational, especially back then. There were two bands which might not have been as successful as the Beatles or the Stones, but regarding the quality of the music they delivered, they outpaced all of the above. Both of the acts in question had developed the idea to base their music on brass sections and expensive arrangements. Both of these groups were made up of enthusiastic music majors, many of them with a background in classical music. One of those groups was Blood, Sweat & Tears. The other one was Chicago. Chicago, at first known as The Chicago Transit Authority, experimented with sounds. They managed to build brilliant brass arrangements into message tunes such as “It Better End Soon” from their second album. It took them a while to produce a real hit. But there would be many of them further down the road. Chicago, this large band with that brilliant brass section, had issues, just like other acts. Many members consumed cocaine. In 1978, tragedy struck the group, when singer and guitarist Terry Kath accidentally shot himself, a week before his 32nd birthday. When this happened, the group was almost disbanded for good. They had a bass player by the name of Peter Cetera. On stage, he would not be the most prominent band member, but hide behind the guitarist. The fact of the matter is that all band members hid their names, faces and personalities behind the Chicago band logo, which dominated all of their album covers. This endeavor was not about creating individual stars, they thought. In the summer of 1976, two years before they lost Terry Kath, something happened. Chicago’s bass player Peter Cetera contributed a tune, his own composition, which he would also sing himself. “If You Leave Me Now” was a stunning love ballad of the kind nobody had heard before. It exploded all over the radio playlists on several continents. This song pretty much made Peter Cetera a star. Over time, he would start dominating Chicago’s gigs. To the audiences, he became the guy in the center of the stage. Everyone else just seemed to be there to accompany him. When the Chicago sound changed substantially, with the albums “Chicago 16” and “Chicago 17”, Peter Cetera was all over the most successful tunes. By now, many of those were written and produced by Pop masters such as David Foster, who also became their producer. This was about reinventing the group’s sounds in the 1980-s.
Those two albums, “16” and “17”, were extremely successful. Some die-hard fans saw them as a sell-out of Chicago’s concepts and trademark sounds. Others believed quite a few of the new songs, such as “We Can Stop the Hurting” (“17”) or “Sonny Think Twice” (“16”) were quite good. Vocalist Bill Champlin, who had joined the band shortly before, delivered the deeper voice, while Peter Cetera hit the high tones. It was perfect, from the perspective of the record label. The sales figures proved them right. On the other hand, many Chicago tunes became quite cheesy. Where was that old Chicago quality? “Hard To Say I’m Sorry”? Hell! Are you kidding? At some point, Peter Cetera, who had become the most prominent member, did not seem to want to be part of this democratic band anymore, but rather pursue a solo career. While still in the band, he released his first solo album in 1981. More followed from 1986 to 2001. In 2004, he released an album with Christmas songs. Peter Cetera is an ambivalent figure, in the sense that he screwed up the Chicago sound, from the perspective of some. Others see him as the band’s savior, and as the man who took the obvious step, when he left to do his own thing. The “Glory of Love” and stuff. 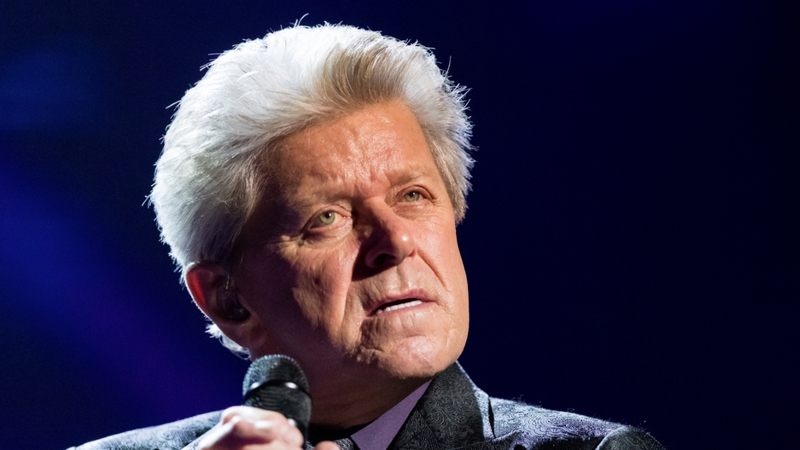 Now, at age 73, Peter Cetera is embarking on a world tour with his band. North America is the first item on the tour schedule. From Morristown in New Jersey to Vienna (Virginia), he will perform in a number of smaller towns. But they all have zip codes. Then, later this year, when he will already be 74 years old, Cetera intends to cross the Atlantic Ocean in a steel bird. In Europe, he will “do” London, Dublin, Rankers (Denmark), Frankfurt, Hamburg and Berlin in October and November of 2018. The last gig will take place in Sofia, the capital of Bulgaria, on November 9th. Whoever attends Peter Cetera’s gigs will not see or hear Chicago, but Peter Cetera, the wrong guy, who messed with Chicago’s sound. But the fact that he is a master of ballads, that he contributed a lot to some of the greatest Chicago tunes as well, and that he turned his solo career into a success should actually lead to respect for him. 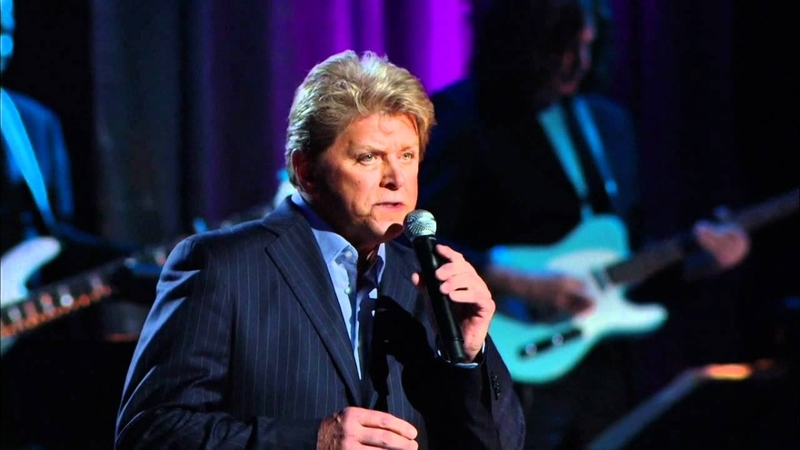 Peter Cetera might be the right guy after all, to those who just love those ballads.